Yesterday I woke up early, went yo the Baltimore farmers market, picked out a few things, and then cooked them for chefs dinner at B&O. 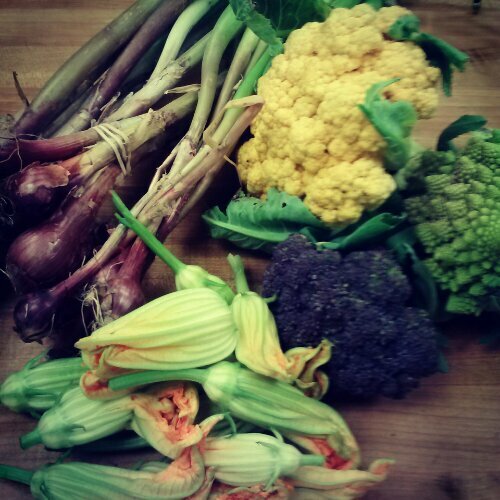 Spring onion romanesco cauliflower, purple broccoli, and squash blossoms. 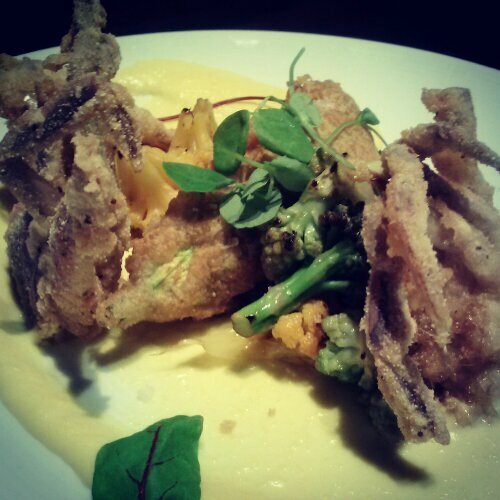 Soft shell crab, ricotta-spring onion-crab stuffed squash blossom, corn puree, and sauteed cauliflower.